Dark Horse courts a twenty-first-century King Arthur adventure with The Once and Future Queen and its golden creative team. Adam P. Knave (Amelia Cole, This Starry Deep) and D.J. Kirkbride (Amelia Cole, Never Ending) are the bards for this modern Arthurian tale, while Nickolas Brokenshire (Amelia Cole) provides his illustrative skills to the noble new series, and Frank Cvetkovic (Artful Daggers, The Black Wraith) letters it. The Once and Future Queen finds Rani Arturus on a trip to the United Kingdom to compete in a chess championship. The multiethnic teen girl finds herself immersed in magic and mystery after she encounters the legendary sword Excalibur. With the support of a surprisingly modern Merlin, Rani must fight to become the queen humankind has been waiting for. 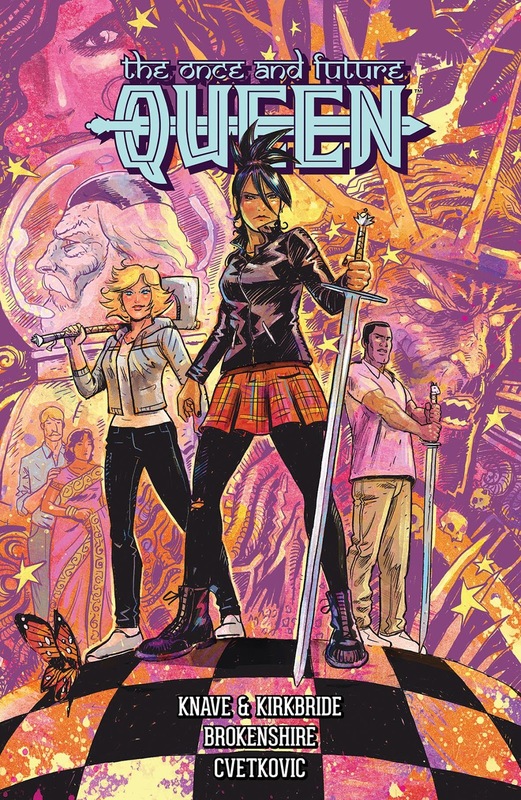 The Once and Future Queen’s first issue (of five) goes on sale March 8, 2017.